As a leader in condensing technology, Navien is committed to working with trade partners to help improve business and provide the highest quality customer support in the industry. Because of this, Navien developed the Navien Service Specialist program, which is intended to provide members with advanced credentialing options and extra benefits to help grow their businesses. 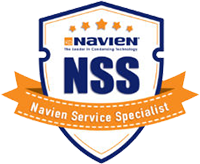 The NSS designation is awarded to those who have successfully met the program's requirements, including the completion of specialized training courses and compliance with all local and state contracting and business regulations. With more than two million verified pro reviews and one of the industry's most comprehensive screening processes, HomeAdvisor gives you the peace of mind that comes from knowing you hired a pro you can trust. 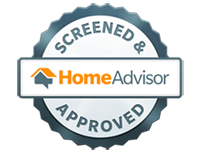 JMJ Plumbing is proud to be a screened and approved member of HomeAdvisor. Absolutely the best contractor I have used in the last ten years. — L. L.